Today I decide to present you one of the flat irons of Remington and I have to be honest – this one is one of my favourites. I take my Remington everywhere I go, I have literally traveled several continents with this flat iron. May be it is quite suitable for my hair type and I use it for any hairstyle. I like the design! 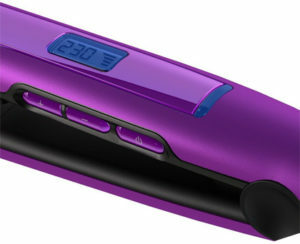 You have a stylish Flat Iron with a screen that shows the temperature. It includes three buttons that facilitate the regulation of the heat and a swivel cord which will help you to rotate the flat iron without restraint. And yes, look at the color, it’s in a classy purple with black details. The Remington flat iron has floating plates which makes it easier to work with it. One of the reason is that it doesn’t catch hair as much, the second one is they heat up more consistently and don’t have hot spots. The floating plates also can reach a temperature of 400 degrees for 30 seconds, which is a big plus when you hurry for work in the morning. I think this is one of the best and important things for this product. It shuts-off on it’s own. I didn’t know that in the beginning but I have the habit of leaving the flat iron turned on in case I have to fix some lock of hair in the process of getting ready. So I was really surprised when I use the Remington s5500 and after an hour I tried to use the hair straightener again and I found it doesn’t work. Actually this is a very important factor when you accidently forget the flat iron turned on at home. It gives you the certainty that it will shut itself .. although check it out before you leave your home. I can say my hair is curly and this hair straightener can handle it without problem, one more reason why I love it. It works excelent for my thick hair type. The straights don’t stay more than two days but it’ s okay compared with other flat irons I have tried. It is perfect for curls and waves too. 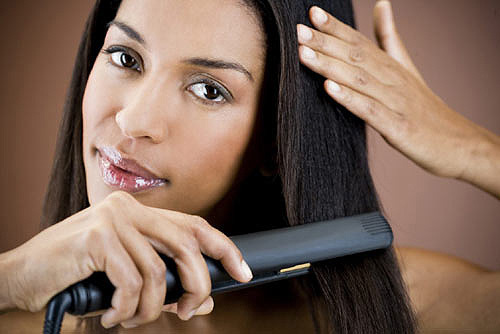 It is really easy and comfortable to style your hair with this flat iron. How I said my hair is something between curly and wavy and it takes me not more than 15 minutes to make them in beautiful and sorted ringlets. How we know every product has its own positives and negatives. Here is the same. Firstly I have to say about the temperature. If you have hair that’s super sensitive to heat and need a straightener that has the option for really low temperatures, this might not be the flat iron for you. The reason is that the lowest temperature you can use here is 310 degrees. Second one is about the smell of burning substances. For some reason, the iron lets off a burning smell when it’s heating up, but there isn’t anything there to be burned. Many customers have reported that it’s only in the beginning of using it. 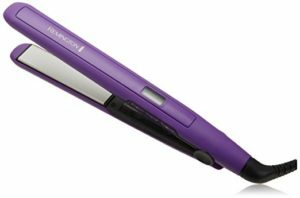 Despite the negative part, Remington s5500 is a very good flat iron and it’s perfect for traveling, for example. It is not so expensive and in the same time it is effective and you can have straight of curly hair for no time. I will add it with pleasure to my collection.